ADENA, Ohio (Feb. 24, 2014) – Nashville-based father and son duo, Tim and Myles Thompson, will perform at Black Sheep Vineyard on Rt. 250 close to Mt. Pleasant, Ohio, Friday, March 7 at 7:30 p.m. The father, Tim, plays guitar while son, Myles, plays the fiddle. There is a cover charge of $5 and seating is limited. Live, the Thompsons present high-octane instrumental and vocal duets of improvised originals and classics reminiscent of legendary artists such as Chet Atkins, Stephan Grappelli, Chick Corea, Jackson Browne, Sam Bush and more. Although influenced by the masters, their down-to-earth style is all their own — a one-of-a-kind combination of improvisational jazz, traditional folk, singer-songwriter, country, rock and world music. Fans of their live shows are frequently dazzled by the often otherworldly, synchronized unity of their music. After all, the father / son duo have been playing together now for, basically, all of Myles’ 19 years. International Fingerstyle Guitar Champion Tim Thompson digs deep into his musical roots, layering intricate melodies, chords and textures with his deft playing. 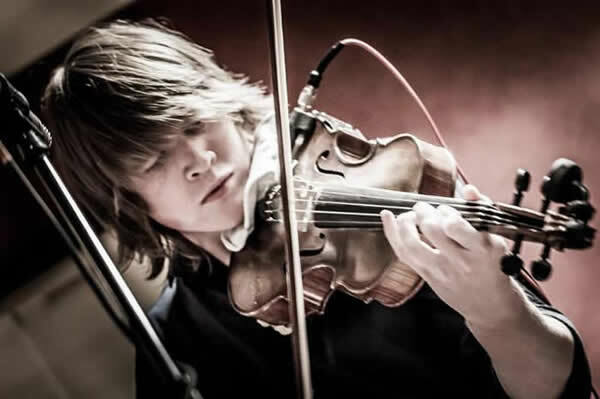 Myles stays in step, answers or takes the lead with soaring and drifting echoes on fiddle. 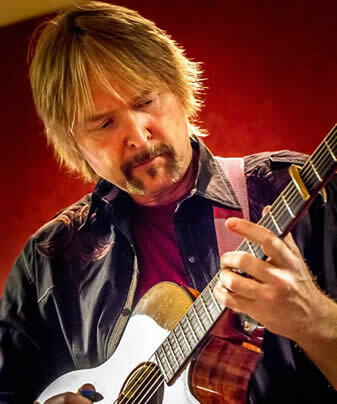 Before beginning work as a duo, Tim built a reputation for his unique, intricate style, winning First Place at the prestigious Walnut Valley Festival’s “International Fingerstyle Guitar Competition,” and earning acclaim from such respected publications as Fingerstyle Guitar magazine, Taylor Guitar’s Wood & Steel magazine and Just Jazz Guitar magazine. His songs can be heard on everything from bumper music on NPR to the United Artists film Casper’s Haunted Christmas. Black Sheep Vineyard opened in 2008 and expanded in 2013. Named in part from the owners’ last name, John and Becky Black, turned land and a barn that used to be a sheep farm into their vineyard. The musical venue is the restored old barn located behind the farm house. It is located at the junction of Rt 250 and Rt 150. For more information, find Black Sheep Vineyard on Facebook or check out their website at blacksheepvineyard.com.